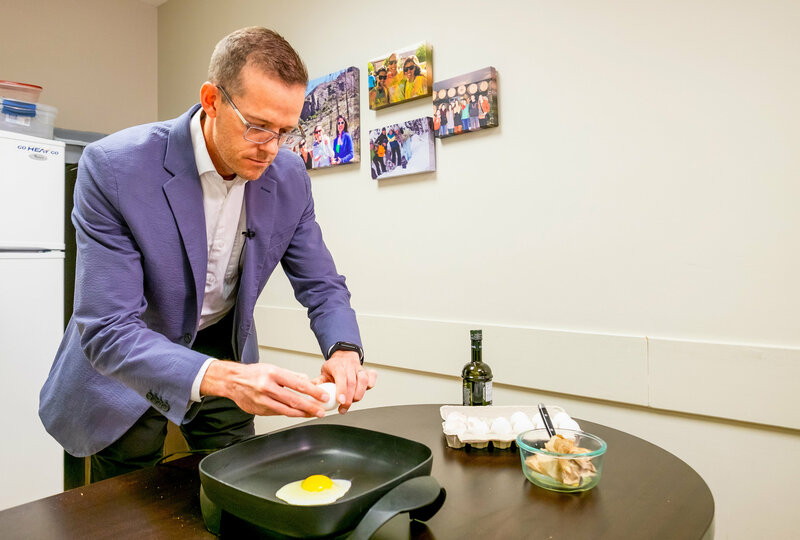 Associate Professor Jonathan Little, who teaches in UBC Okanagan's School of Health and Exercise Sciences, published a study this week demonstrating that high-fat, low-carb breakfast (LCBF) can help those with T2D control blood sugar levels throughout the day. 1; cereal, oatmeal, toast and fruit – are high in carbohydrates, "says Little. Breakfast, he says, is consistently the" problem "that leads to the largest blood sugar spikes for people with T2D. His research shows that by eating a low-carb and high-fat meal first thing in the morning is a simple way to prevent this large spike, improve glycemic control throughout the day, and perhaps also reduce other diabetes complications. Study participants , with well-controlled T2D, completed two experimental feeding days. On one day they ate an omelette for breakfast and on another day, they ate oatmeal and some fruit. An identical lunch and dinner were provided on both days. A continuous glucose monitor — every five minutes — was used to measure blood sugar spikes across the entire day. Participants also reported ratings of hunger, fullness and desire to eat something sweet or savory. Little's study determined that consuming a very low-carbohydrate high-fat breakfast completely prevented the blood sugar spike after breakfast and this had enough of an effect to lower overall glucose exposure and improve the stability of glucose readings for the next 24 hours. 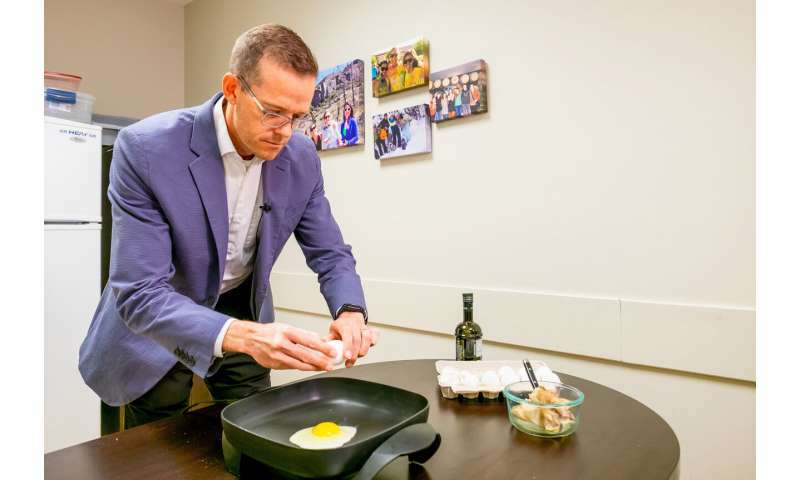 "We expected that limiting carbohydrates to less than 10 per cent at breakfast would help prevent the spike after this meal," he says. "But we were surprised that this had enough of an effect and that the overall glucose control and stability were improved. We know that large swings in blood sugar are damaging to our blood vessels, eyes and kidneys. low-carbohydrate high-fat breakfast meal in T2D patients may be a practical and easy way to target the large morning glucose spike and reduce associated complications. " He does note that there was no difference in blood sugar levels in both groups later in the day, suggesting that the effect for reducing overall post-meal glucose spikes can be attributed to the breakfast responses with no evidence that a low-carb breakfast has glucose responses to lunch or dinner. "The results of our study suggest potential benefits of altering macronutrient distribution throughout the day so that carbohydrates are restricted at breakfast with a balanced lunch and dinner rather than consumption and even distribution and moderate amount of carbohydrates throughout the day. " As another interesting aspect of the research, participants noted that pre-meal hunger and their cravings for sweet foods later in the day tended to lower if they ate the low-carb breakfast. Little suggests this change in diet maybe a healthy step for anybody, even those who are not living with diabetes.